Raise your IELTS score to a 6.0 or 6.5 within 12 months! What is the IELTS 6.0/6.5 Guarantee? How does the IELTS 6.0/6.5 Guarantee work? Contact us to get started! We will ask for your current IELTS score (or score on another recognized English proficiency test). 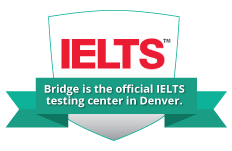 If you haven't taken a proficiency test recently, you’ll take our Online IELTS Mock Exam and our instructors will determine your current level of English. You will receive your level report and detailed IELTS diagnostic results, and/or your recommended IELTS Guarantee and the estimated program duration to achieve a guaranteed IELTS score of either 6.0 or 6.5. Our admissions office will help you select your start date in Denver, and enroll. Contact us for more information about the IELTS 6.0/6.5 Guarantee! Request More Info about the IELTS 6.0/6.5 Guarantee! 1. Attendance in the Bridge Academic English Program must be 85% or more. 2. All homework must be completed fully and submitted, including test prep and research writing/presentations. 3. 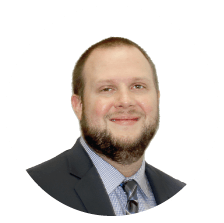 Each student is assigned his or her own personal academic advisor, who will assist with college admissions coaching, and course monitoring. 4. Up to 4 hours of supplemental tutoring per week is available at no additional cost. 5. In order to qualify the 6.0 Guarantee, students must begin the program with the equivalent of a minimum High B1 CEFR* level, as evidenced by an recognized English language proficiency exam. 6. In order to qualify for the IELTS 6.5 Guarantee, students must begin the program with the equivalent of a Low B2 CEFR* level, as evidenced by a recognized English Language proficiency exam. 7. Students who do not achieve the IELTS Guarantee score after the Bridge recommended course duration can study up to two additional 10-week terms, tuition free. *CEFR stands for Common European Framework of Reference and is an international standard for describing language proficiency levels. Do you need assistance with direct or conditional university admission? Visit www.bridgepathways.com to learn more about our programs at 8 Bridge Partner Universities in the United States!